Yeah, expy comics are tricky. The source material of any given character is always going to have X amount of popularity, so an open duplicate of the original character should logically have some smaller percentage of that popularity. I mean, The Sentry is never going to sell as good as Superman, nor is Moon Knight going to sell as well as Batman. It just ain’t going to happen, or if it is, it won’t be for very long. So here’s DC doing a Fantastic Four book in an era where we currently have no Fantastic Four book in existence (there’s Marvel-2-in-1 which is effectively an FF book, except it isn’t). Spinning out of the still-unfinished Metal, we’ve got a team of superpowered explorers who are challenging the unknowns of the multiverse. Here, we get the slightly remixed expys of Mister Teriffic as Mister Fantastic, Metamorpho as the Thing, Plastic Man as…also Mister Fantastic, and a new version of Phantom Girl as the Invisible Woman. The comparison is about as opaque as whatever The Incredibles or Astro City‘s Furst Family are supposed to be copying. Anyway, The Teriffics is off to a decent start as a more-than-cromulent superhero title that pokes some open fun at the fact that it’s copying better-known source material. 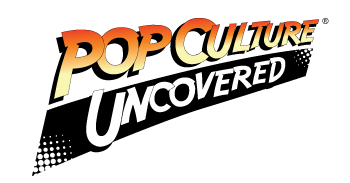 There’s interdimensional hijinks, an obvious nod to Galactus, and an appreciable continuation of the Dark Multiverse stuff which is the foundation of the Metal crossover. It helps that Ivan Reis and Joe Prado are involved, since they were involved in a lot of DC’s current multiversal madness like The Multiversity and the “Multiplicity” arc of Superman, as well as the Marvel-imitiating opening arc of Justice League America. The two at least have a feel for drawing an obvious yet original parody of that other comics publisher. 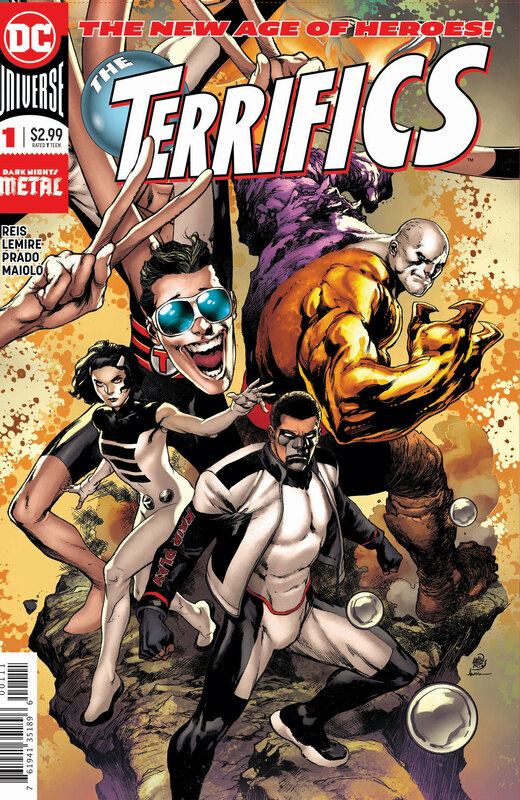 I am not confident that The Terrifics will last: it’s a book spinning out of an event and living in the shadow of a better-known concept at another company. At least Metamorpho’s involvement means that this book will probably build into whatever’s going on in Doomsday Clock, where the hero is somehow involved in the overarching internal threat to the DC Universe. So this title may be worth watching for a few months. This opening salvo does seem fun, and who knows? The Fantastic Four itself was a copy of an earlier concept by its own co-creator, and it’s done so much better. Rating: Three and a half expys out of five.